The lawsuit, filed on behalf of the National Trust for Historic Preservation and the Landmarks Preservation Council, calls on the court to send the Prentice decision back to the commission for reconsideration. It echoes procedural complaints first made before the commission even met Nov. 1, when members of the Save Prentice Coalition decried a meeting agenda that apparently “pre-orchestrated” the failure of the proposal to protect Prentice. Commissioners first voted to recognize the building’s merits for preservation and granted it landmark protection; they then voted two hours later, during the same meeting, to revoke that protection. The basis of the second vote was an unusual presentation from the commission of Housing and Economic Development, which argued new construction would bring jobs and research dollars that supersede the importance of preserving Prentice. Today’s lawsuit alleges that the council was not permitted under its guiding ordinance to consider economic matters in it decision. A judge will consider the suit this afternoon. 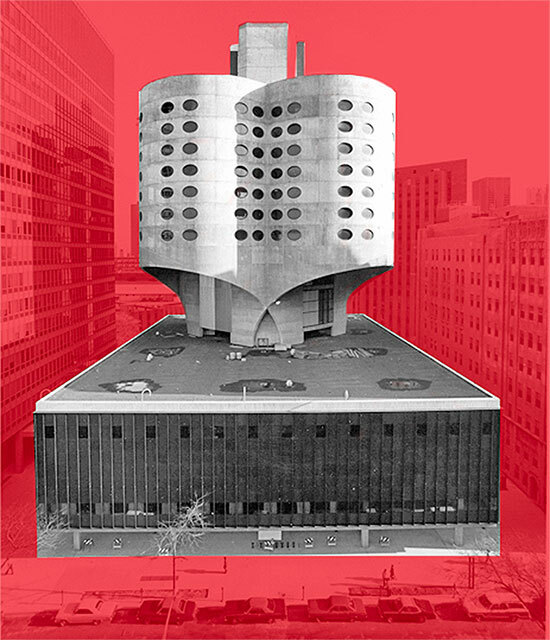 The Chicago Architecture Foundation today opens its Reconsidering an Icon show, which will feature 71 proposals for reuse of the building, compliant with Northwestern’s biomedical research requirements. The show will be open until February. UPDATE [3:58 p.m. CST]: Cook County Judge Neil Cohen granted Prentice temporary landmark status Thursday afternoon, preventing the city from issuing a demolition permit for now. “We’re going to do no harm to Prentice while this can be resolved,” Cohen said. The next hearing is Dec. 7.